Healthy life trend is affected by people’s changes of lifestyle as we can see that more people want to live longer and be fit. There are movements that promote the importance of eating consciously. The increasing number of obesity and cardiovascular disease from years to years also takes part of this lifestyle. In Indonesia, healthy food movement is also emerging. However, it started not as early. Not every healthy food trends can also be popular in Indonesia as well when there are many aspects affecting the way we eat. Years ago, oatmeal was the first thing in our mind when it comes to healthy breakfast especially the quick-made oatmeal that could also save a lot of our time before heading to school or work. This year, oatmeal is even groovier. Overnight oat, oat that is soaked in liquid overnight and topped with various topping seems to be hype this year. Not to mention other superfood such as chia bowl, flax seed meal, kale smoothies, and many more! More people are indeed converting into vegetarianism. However, there is a nutrition that people cannot get from natural plant-based meal which is B12 vitamin. Fortified plant-based meal such as tempeh, nutritional yeast, and fortified plant-based meal can fulfil our needs of B12 vitamin. However, those who believe that natural food source is better, sometimes eat animal-based meal to fulfil B12 vitamin needs. This is called semi-vegetarianism or flexitarianism. One of the most appealing sources of B12 vitamin is grass-fed beef. It is lean and lower in calories as 6 ounce of grass-fed beef has 100 fewer calories than grain-fed beef. It also has more omega-3 fatty acid and of course, higher amount of B12 vitamins. Ice cream is the best treat, almost everyone must say. However, it is loaded with sugar, cream, milk and many things that can be worst things for your body. Today, there are some alternatives for those who fancy ice cream a lot yet do not want to get fat. 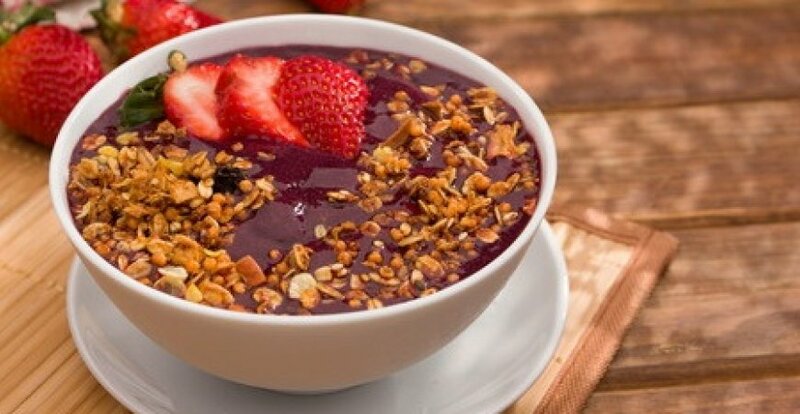 A portion of acai bowl, pitaya bowl, or “nice cream” can be a delicious ways to quench your thirst for ice cream as they are yummy, icy, and healthy. Acai is a berry from Amazon that is high in antioxidant and low in calories with tart yet chocolaty taste. Pitaya or dragon fruit is a cactus fruit that tastes sweet, goes well with fruit toppings, and is low in calories. Acai and pitaya are often froze and then blended into sweet sorbet as well as banana. However, banana ice cream or “nice cream” has creamier texture rather than two previous fruits which have icy texture. Those healthy foods can be big in Indonesia as they are good replacements for Indonesian’s usual food. For the examples, many Indonesians love a bowl of mung bean and black glutinous rice porridge for breakfast. The sweetness is familiar, thus it can give sweet superfood breakfast a chance in Indonesian foodservice business. Grass-fed beef, however, maybe have a higher competition when many Indonesians still overwhelmed by the hype of wagyu beef. Therefore, the healthy benefits of grass-fed beef should be emphasized in the promotion. Similarly, acai bowl, pitaya bowl, and nice cream have tough competitors. They may lose the game if compared to other high-branded ice cream in the market. However, selling them in healthy or vegetarian restaurant can be profitable as they taste nice, colourful, and good for our body.